Dr. Ghohestani completed his internship in surgery at Pennsylvania Hospital, the Nation’s first hospital and one of the top 100 hospitals in U.S. He then did a residency in dermatology at Thomas Jefferson University. With deep interests in skin, Dr. Ghohestani obtained a master’s degree in Cutaneous Biology, Cosmetology, and Skin Pharmacology, and a Ph.D. in Skin Immunobiology from Claude Bernard University followed by a fellowship at the Nice School of Medicine, Nice, France in molecular biology. Dr. Ghohestani served as the principal investigator and team leader for many years at various Academic Institutes. His research was funded by the National Institute of Health, the Dermatology Foundation, and the American Skin Association, among others. Dr. Ghohestani was on Faculty as an Assistant and then Associate Professor at Thomas Jefferson University (1998 – 2007) before moving to San Antonio, Texas. Dr. Ghohestani is a former Chief and Associate Professor of Dermatology and Cutaneous Surgery at the University of Texas Health Science Center at San Antonio. 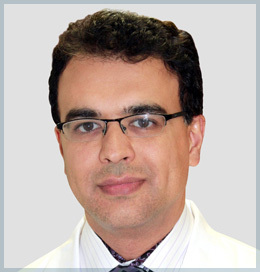 Dr. Ghohestani’s outstanding work and dedication to excellence have earned him numerous honors and peer recognitions including the American Skin Association Career Award, the Dermatology Foundation Career Award, the Charles Grupper Prize by the French Society of Dermatology, the Stelwagon Award for Best Publication by the College of Physicians of Philadelphia and the Commitment to Professionalism award by the Pennsylvania Medical Society. He also served as the co-editor of the European Journal of Dermatology from 2001-2008.